Ten acts from each Semi-Final have gone through to Saturday’s Grand Final and join the so-called ‘Big Five’ — France, Germany, Italy, Spain and United Kingdom — and Host Country, Ukraine. Last night the European Broadcasting Union released the official running order for the Grand Final of the Eurovision Song Contest 2017. Australia’s Isaiah Firebrace will perform as 14th on Saturday, whilst Australian Anja Nissen will take the stage as 10th on behalf of Denmark. 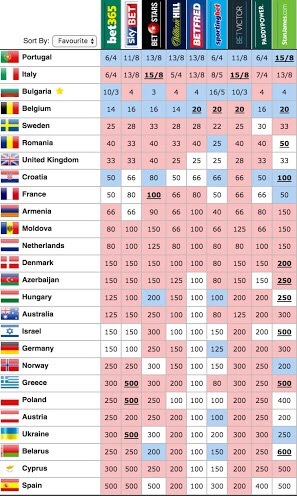 Interesting to see is the fact that Bulgaria got a great starting slot near the end of the show, as did Sweden. Could this mean they did very well in their semi finals? Or is just bad luck for other favourites such as Armenia, Portugal and Italy that they were allocated in the first half.